Ocean First creates and supports a community of ocean enthusiasts who are passionate about experiencing and preserving our marine environments. Our private facility, friendly staff, small classes, and 89°F indoor pool allow swimmers to focus on learning new skills. Swimmer of the Month - Casey! Congratulations to our Swimmer of the Month, Casey. Casey started in Beginner I and has worked his way up to Intermediate where he is doing freestyle and backstroke. Here are some questions we asked Casey to get to know him better. 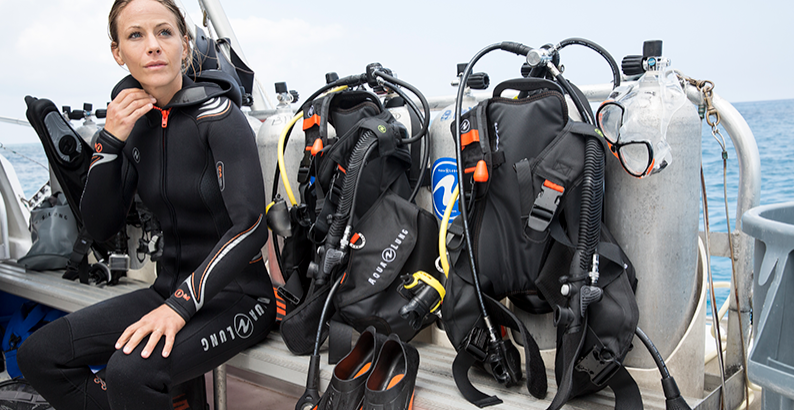 A meditation on the order of purchasing scuba gear by our retail manager & buyer, Kathy Gagliardo. Ocean First recently returned from the South Pacific, where they experienced a welcome reprieve from winter in Tahiti’s action-packed reefs. Kathy Gagliardo, Ocean First’s trip leader for this expedition, shares tales of their experiences in this bucket-list destination. Plastic pollution is a global issue that cannot be ignored – it affects every corner of the planet, including the ocean. Ocean First’s Thea Rogier dives into the issue and why it’s more important than ever to take steps to minimize our contribution to the problem. Ocean First Education inspires new depths of awareness and respect for our ocean. Through innovative education, research and technologies, they create knowledgeable, passionate ocean stewards.